Hungarian composer Franz Liszt (1811–1886) was an anomaly. A virtuoso pianist and electrifying showman, he toured extensively throughout the European continent, bringing sold-out audiences to states of ecstasy while courting scandal with his frequent womanizing. Drawing on new, highly revealing documentary sources, including a veritable treasure trove of previously unexamined material on Liszt’s Weimar years, best-selling author Oliver Hilmes shines a spotlight on the extraordinary life and career of this singularly dazzling musical phenomenon. 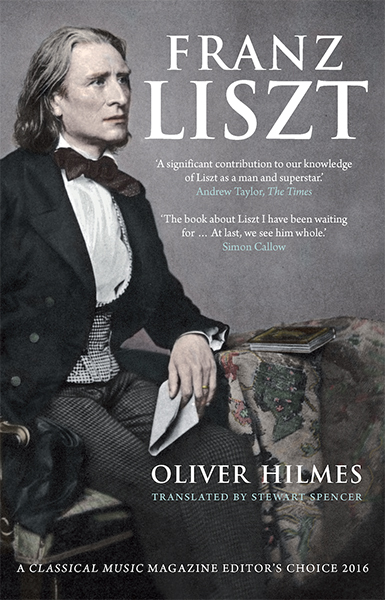 Whereas previous biographies have focused primarily on the composer’s musical contributions, Hilmes showcases Liszt the man in all his many shades and personal reinventions: child prodigy, Romantic eccentric, fervent Catholic, actor, lothario, celebrity, businessman, genius, and extravagant show-off. The author immerses the reader in the intrigues of the nineteenth-century European glitterati (including Liszt’s powerful patrons, the monstrous Wagner clan) while exploring the true, complex face of the artist and the soul of his music. No other Liszt biography in English is as colorful, witty, and compulsively readable, or reveals as much about the true nature of this extraordinary, outrageous talent. Oliver Hilmes, the author of several best-selling biographies, lives in Berlin, Germany. 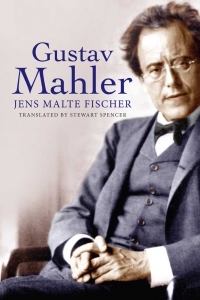 Stewart Spencer is an acclaimed translator whose work includes biographies of Gustav Mahler, Richard Wagner, Cosima Wagner, and W. A. Mozart. "The sub-title of this remarkable book at once tells you where Oliver Hilmes’ chief interest lies. Liszt was, indeed, all of these things, bewilderingly multi-faceted and of super-human strength and achievement. Yet he also paid a heavy price in his journey from 'Le petit Litz’ to ‘Le Grand Liszt. '"—Susan Nickalls, Classical Music "Editors Choice 2016"